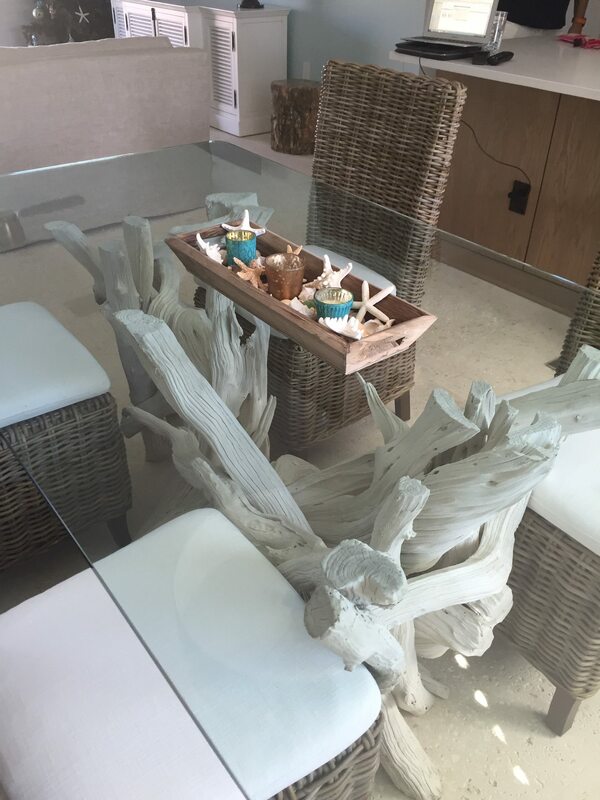 I always appreciate when my customers take the time to send me images of one of my driftwood tables or lamps in their new home. Even though I attempt to take quality pictures in my studio, it just doesn’t look the same as someones living or dining room. The following are some of those home settings that I’ve received in recent months. Most of the year Cathy lives in Northern Ontario, but decided it would be nice to spend some of the winter months in Key Largo, Florida (can’t imagine why). 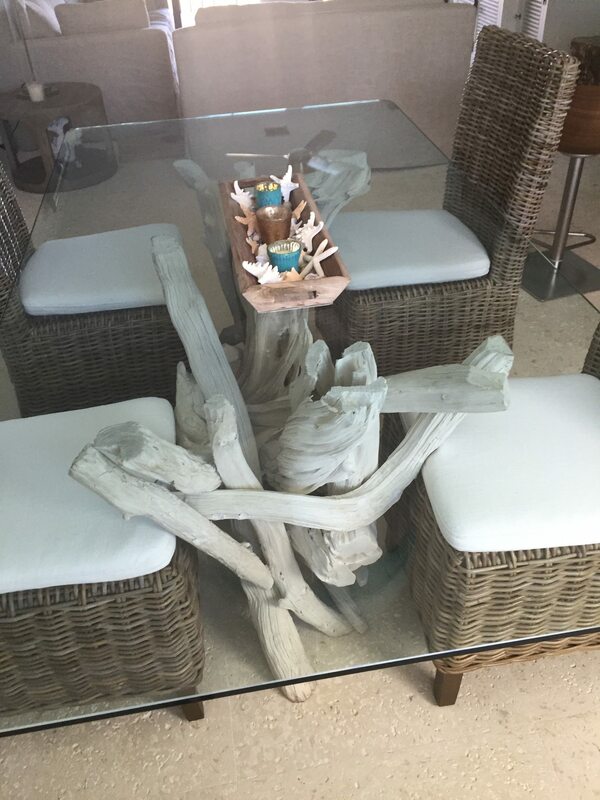 She was having a condo remodeled & wanted a rectangle driftwood dining table to dine at while watching the beautiful sunsets the Keys are known for. Carol & David are from Great Britain but wanted to spend some time in Pensacola, Fl where David grew up as a child. He brought Carol over to see his childhood home & she fell in love with the area. Enough so that they wanted a home there. 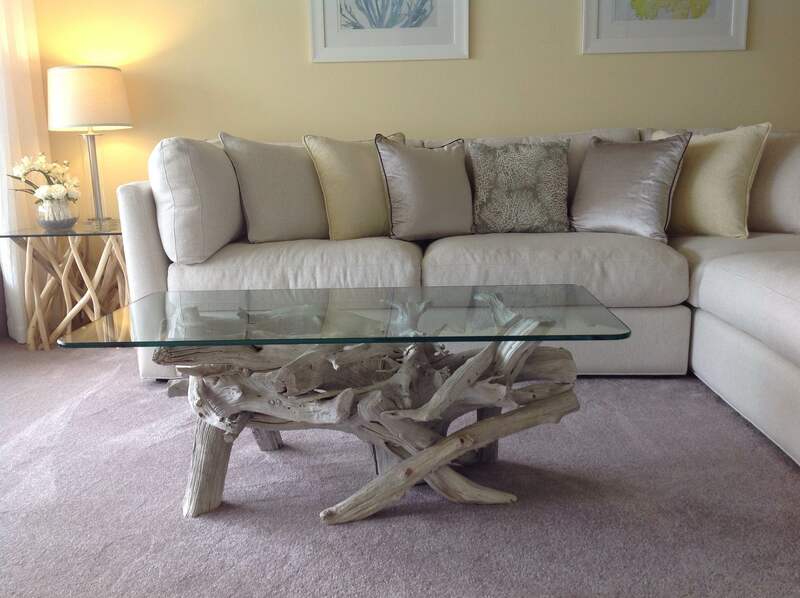 Carol is an interior designer & has always wanted a driftwood coffee table and had been following my work on the internet. Finally their home was ready last fall & I shipped them a nice rectangle table. “Thank you for giving us something that will give us so much pleasure studying it for years to come”. 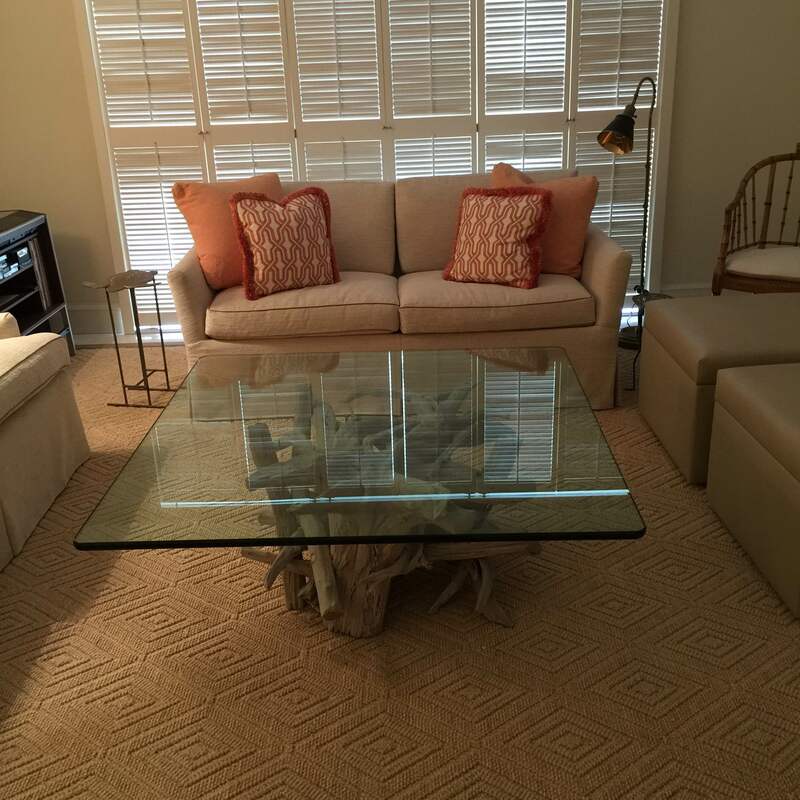 Lichten Craig Architecture & Interiors located in Chicago had a client with an apartment in Palm Beach, FL who was wanting a large 48″ square coffee table for her living room. I had a table in my showroom that was accommodating a 44″ round, but would hold the 48″ x 3/4″ glass that the client desired. 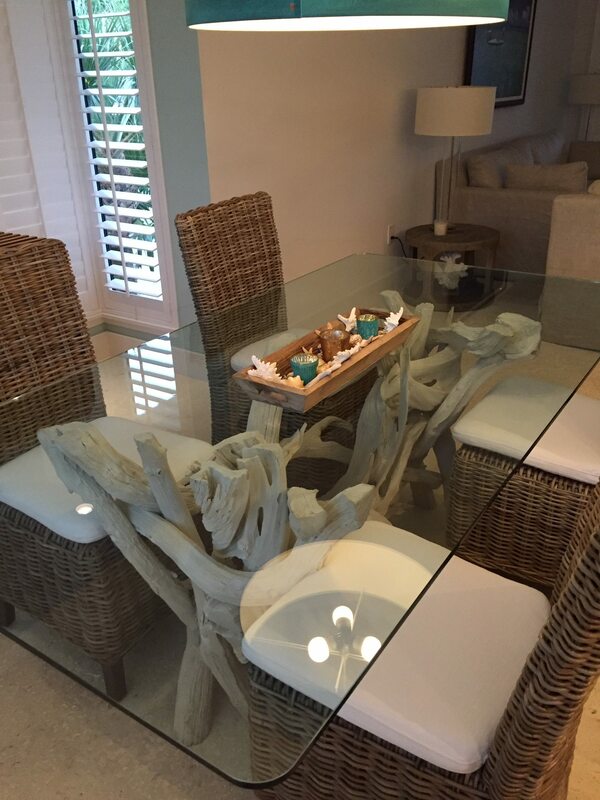 Once I secured the thicker glass, I arranged for my freight company to set up a white glove delivery & the table was in place upon the customers return to Florida. 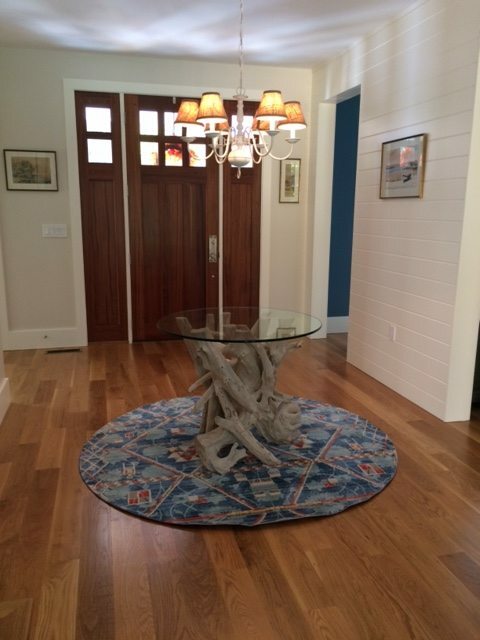 Mary Kate was having a new home constructed in Old Lyme, CT & wanted a driftwood entry way table to be displayed on the hardwood floor. 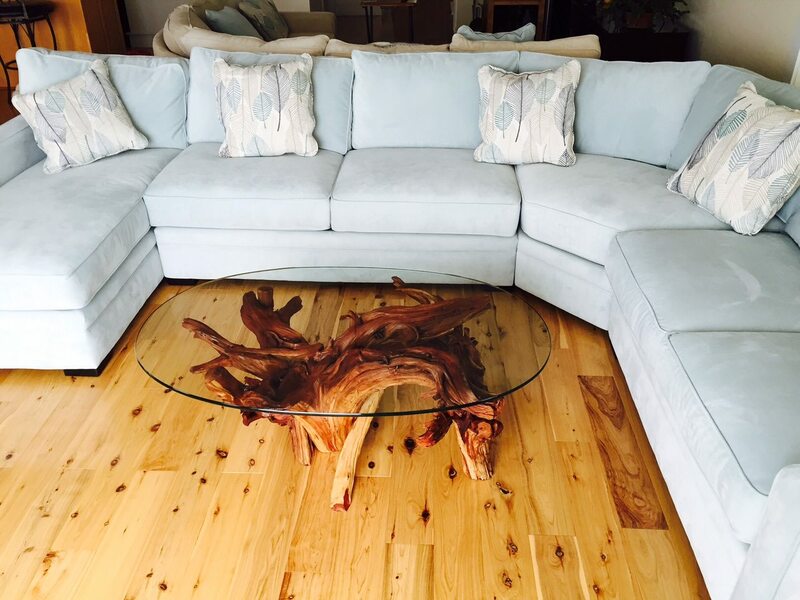 Usually my sofa/foyer tables are created for a rectangle glass but this called for a 36″ round piece of 1/2″ glass. Wow all look fantastic!!! Really nice work!